Professional Voicemail Messages, IVR VOIP and On Hold Messages Recorded from ONLY £19.95 (This is a One Off payment NO Set up Fee or Contract Required). Ordering your Voicemail Recording is Quick and Easy – Here are the voices available to record your message. Below you will find a list of Low Cost Pre Recorded Voicemail Messages. The generic messages below are currently available in the MALE VOICE ONLY for £4.95 each in MP3 format, and available to DOWNLOAD once payment is received. The “Copyright” reference in the demo versions will also be removed on your purchased version. Adding a voicemail recording to a standard mobile phone. This has to be one of the most asked questions. You first need to understand that the standard mobile voicemail isn’t designed for business call handling, for that you would be better suited to a VOIP services such as Vonage or Number Group these are cloud based call handling companies. Worth checking out if you need multiple messages, On Hold or Busy messages or even welcome options. Standard mobiles don’t offer this. Simply play the recording from a speaker into your mobile as if you were speaking into the hand set yourself. Supply the following information so that i can access your mobile’s voicemail settings. 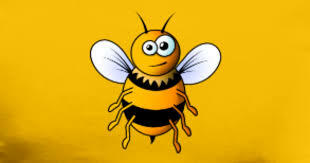 (As above you need to know that because this options uses a landline to a mobile phone the final quality of the message being sent to your mobile phone can not be guaranteed and the cost of the recording will still apply should there be any issues when providing this option. The name of your mobile network service. The mobile number you wish you use the recording on. A valid security PIN number so that i can access your services voicemail. (This is NOT the PIN number used to unlock your mobile phone) it is a security PIN that you will need to set up or activate so that your phone’s mail box can be accessed from a standard land line. Networks offer different methods for this, to help please see the links below, note that any default PIN codes will NOT work. You need to ‘set up’ and ‘activate’ these features first. Before you can access your messages however, you will need to set up a PIN, which you can do when you first call 901. If you’ve already set up a PIN and need to reset it, text “reset” to 802901. You will be sent a 5-digit code. Dial this code after calling 901 and you will be asked to enter your new PIN. You can use any number between 4 to 10 digits except for 8705. Pay Monthly customers have additional options. They can forward the message to another mailbox or return a voicemail by pressing 7. They can also reply via text by pressing 9. EE customers need to press and hold 1 to access their voicemail or dial 222. To access voicemail on EE from another phone or landline, dial 07953 222222. EE customers can also access voicemail from another country, by either press and holding 1 or dialling +447953222222. You should hear your voicemail options. Though depending on which country you’re calling from, you may need to enter your PIN. EE advises to set this up before you travel. To set up a voicemail PIN with EE, use the method above to reach the voicemail menu. Next, choose Settings and Features (option 3), and then PIN Settings (option 3 again). This should lead to a set of instructions which will walk you through how to set your PIN. If you’re with Vodafone, dial 121 from your phone to access voicemail. To set up your voicemail PIN, dial 121 and choose option 4, then option 2. This should lead to instructions guiding you through setting up your PIN up. You can also set up a security level to access your voicemail. The “standard security” option requests for a PIN if you’re calling from a non-Vodafone phone or from abroad. Three Mobile Customers will need to dial 123 to access their voicemail. The service is included at no additional cost. If you’re calling from another phone, simply dial 07782 333 123. If you’re calling from abroad dial 44 7782 333 123. Three customers can access their voicemail directly without a PIN, by dialling 123. This is a part of Three’s Fast Login feature. If you prefer more security, you can choose to turn Fast Login off. If you’re with Tesco Mobile, you will need to dial 905. If you’re calling for the first time, the PIN that’s automatically set is 8705, but you will be able to change it to any number between 4 to 10 digits long. To change your PIN, press * (star) after dialling 905. Next, press 4, then 4 again and then 1. If you want to listen to your voicemail from another phone, like your landline, dial your Tesco mobile number and wait until you reach the the voicemail greeting. Interrupt it with the * (star) key and enter your PIN, followed by the # (hash) key. These files can be used on most phone voicemail systems and work especially well on the VoIP services. 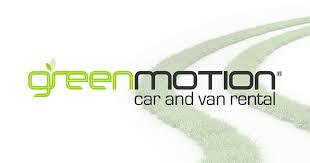 Voice Automation and IVR Recordings for Green Motion. On Hold marketing, and On Hold message recording service. Provider of On Hold recorded messages for small to large businesses. SME’s Recorded Marketing message.